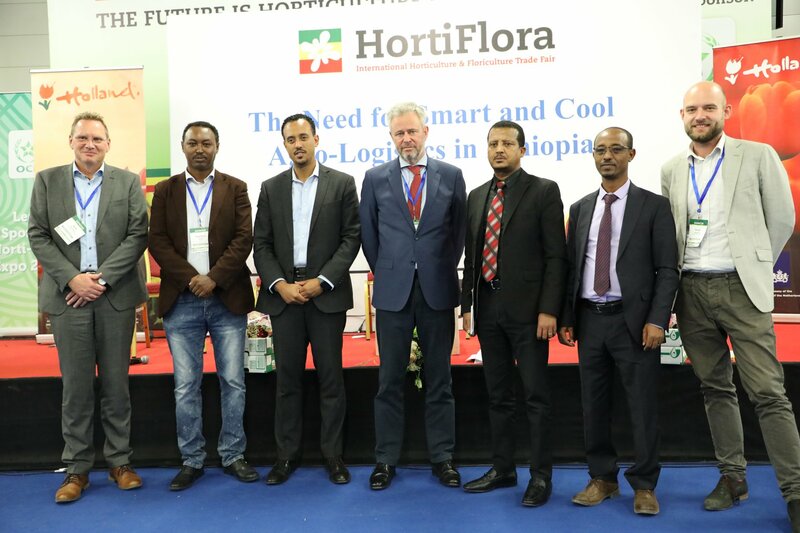 One of the Hortiflora Expo sideline panel discussions which witnessed active participation of visitors and academicians was held Friday March 15, 2019 with the title: “The Need for Smart and Cool Agro-Logistics in Ethiopia”. The need for introducing smart and cool agro-logistics is extremely important for the development of Ethiopia’s horticulture sector. It was emphasized during the discussion that from production point to service delivery the cool chain should be one chain and inter-connected. Agro-logistics is a critical part of the horticulture sector because its export hinges on temperature-monitored mode. 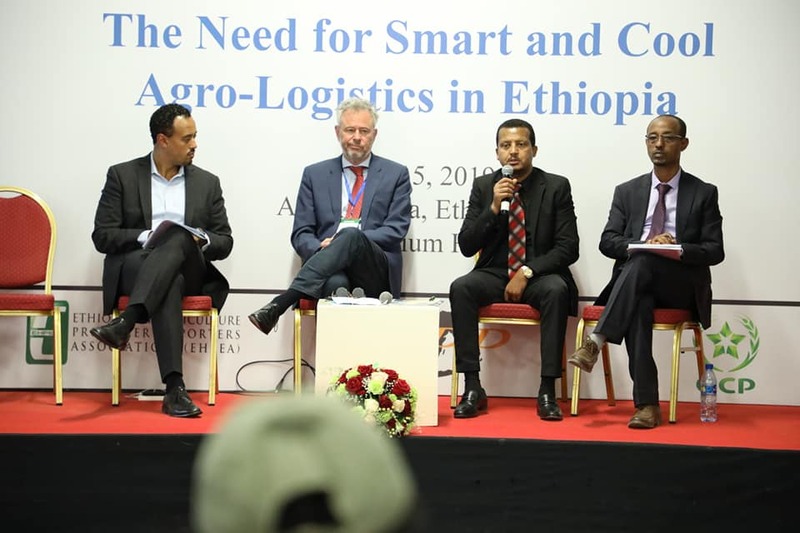 Ethiopian Cargo Managing Director Fitsum Abadi who was also a panelist on the occasion said that Ethiopian is investing in compartmentalized cold storage and training of human power needed in using the cool chain equipment. Moderated by the Netherlands Ambassador, Bengt Van Loosdrecht, the panel highlighted that there exists capacity gap in various sectors in the country’s logistics and that attention need to be given to the relationship between logistics and human resource.